[2015/09/17] Many movie clip problems were repaired. [2008/10/19] 18. Oct. 2008. Some new updates. [2007/10/15] 12. Oct. 2007 Frame sets were almost deleted. [2007/06/25] 24.Jun. 2007: Two parts of PPT were rephrased. 6. Jan. 2005 : Basic Bada Chagi and Narae Chagi were added in Technique. 5. 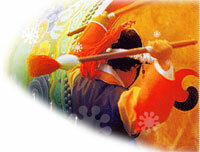 Jan. 2005 : A technique of Bada Chagi and its slow motion was added in Technique. 4. Jan. 2005 : Fast Junbi Motion of Juchum Seo Momtong Jiruegi were added in Training>Basics. 3. Jan. 2005: Two points of Gawi-Jopgi was added in Technique. 2. Jan. 2005 : Auxiliary Technique : 1. Gawi-Jopgi was added in Technique. 6. Sep. 2004 : A movie file of comparing 3 basic kicks was added. 5. Sep. 2004 : A new movie file of 2004 Olympic TKD game was added. 14. Jul. 2004 : An Introduction Movie(50mb) of World Taekwondo Muye Championships was updated. If you have some problem with the movie files, please email me noticing where you live. I've tested it in Korea, but I'm not sure if it works well out of Korea. Links : Coming on March, with some comments of each sites, step by step. Philosophical Principles of Taekwondo : The contents will be polished little by little again.